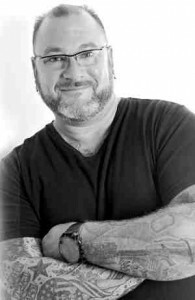 Jeff Yalden – Mental Health Speaker for Teens & Parents. I HAD heard about all of the dying, about all of the grief, and still I didn’t immediately understand what I was seeing when, at a railroad crossing here, I spotted a man in a blaring orange vest, the kind that road crews and public-safety workers wear. He wasn’t carrying any equipment. He wasn’t engaged in any obvious activity. He shuffled his feet, staring into the distance. And while mental health professionals are rightly careful not to oversimplify or trivialize the psychic distress behind them by focusing on any one possible factor, the contagion has prompted an emotional debate about the kinds of pressures felt by high school students in epicenters of overachievement. This is one such place. Children here grow up in the shadow of Stanford University, which established a new precedent for exclusivity during the recent admissions season, accepting just 5 percent of its applicants. They grow up with parents who have scaled the pinnacles of their professions or are determined to have their offspring do precisely that. They grow up with advanced-placement classes galore, convinced that their futures hinge on perfect SAT scores and preternatural grade-point averages. Experts on sleep are in keen demand. The kids here don’t get enough of it. If you know of a teen that is suicidal, please have them visit www.NotTheSolution.com and encourage them to seek help immediately! But the situation isn’t so different in the Virginia suburbs of Washington, D.C., where a separate cluster of teen suicides in recent years forced educators and parents to re-examine the messages they give teenagers, intentionally and unintentionally, about what’s expected of them and what’s needed to get ahead in this world. It’s not so different in Chicago’s western suburbs, where a high school teacher recently pulled me aside and, in a pained whisper, insisted that the number of advanced-placement classes that local students feel compelled to take and the number of hospitalizations for depression rise in tandem. Order your video today . . . Jeff spent 48 hours in a community suffering from loss and searching for meaning and answers to their questions. 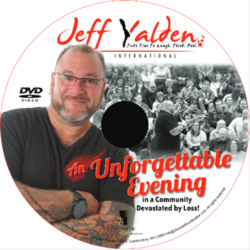 Visit http://www.jeffyalden.com/products/. These are to some extent problems of affluence and privilege. But they have relevance beyond any one subset of our country’s populace. They reflect a status consciousness that bedevils Americans at all income levels, and they underscore an economic trepidation that is sadly widespread and is seemingly intensified by the gaping divide between the haves and have-nots. The suicide rate among all teenagers has seemingly risen a bit over the last decade. According to the Centers for Disease Control and Prevention, it was 8.15 per every 100,000 Americans between the ages of 10 and 24 in 2013, the last year for which complete data is available; the rate was 6.74 in 2003. Many more children think about taking their own lives. According to a 2013 survey by the C.D.C., 17 percent of American high school students had considered suicide in the previous year. Eight percent said they’d attempted it. And suicide clusters have at least as much to do with imitation as with environment, each instance of self-annihilation planting an idea and heightening the possibility of the next. There’s no direct line connecting the pressures of Palo Alto and the deaths. But the community’s soul searching goes beyond those tragedies, to matters plenty important in and of themselves. Are kids here getting to be kids? Does a brand of hovering, exactingly prescriptive parenting put them in unforgiving boxes and prevent them from finding their true selves and true grit? “There’s something about childhood itself in Palo Alto and in communities like Palo Alto that undermines the mental health and wellness of our children,” Julie Lythcott-Haims told me. It reflects on the shortfalls of some modern parenting, which, in her view, can be not only overprotective but overbearing, micromanaging the lives of children, pointing them toward specific mile markers of achievement and denying them any time to flail or room to fail. They wind up simultaneously frazzled and fragile. THE local media has been rife with commentary, from many perspectives, about the mental health of Palo Alto teenagers. Adam Strassberg, a psychiatrist and the father of two Palo Alto teenagers, wrote that while many Palo Alto parents are “wealthy and secure beyond imagining,” they’re consumed by fear of losing that perch or failing to bequeath it to their kids. “Maintaining and advancing insidiously high educational standards in our children is a way to soothe this anxiety,” he said. He made these observations apart from the suicides, for which, he emphasized, “There is no single cause.” He recommended lightening children’s schedules, limiting the number of times that they take the SAT, lessening the message that it’s Stanford or bust. What he was saying — and what’s obvious, but warrants repeating — is that ushering children toward a bright future means getting them there in one piece.